Justonecookbook.com awesome Japanese food blog, featuring some sushi recipes among a massive library and very delicious looking food recipes. mysushidaddy.com could have been a great sushi recipe site but the owner seems to have given up around 2011 and the site has been drifting ever since. At some point the site will eventually close once the hosting or domain expires. 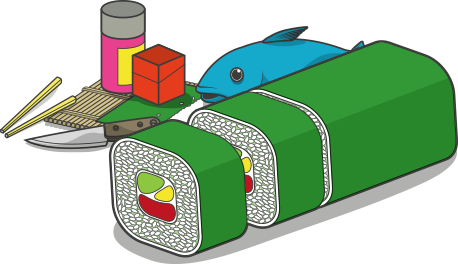 makemysushi.com to be honest a very similar website to mine, the site has some great explanations and examples of how to cook sushi. allrecipes.com Is a great site for recipes, it’s a user sustained site so it has allot of recipes! Some are amazing but allot of them are pretty basic that’s not necessarily a bad thing at some point we all need to learn the basics. Boxsor.com has been opend by yours truley and a good friend of mine from school, we plan to sell high quialty products and deliver a great customer service. mysushiset.com a online store for sushi making equipment mainly for United States of America.